Some flavours are added in Bites but these are not harmful to health. 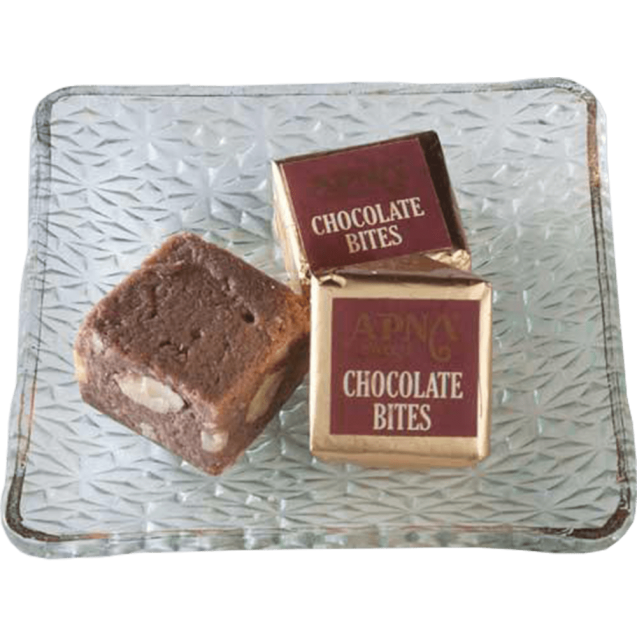 Angular Shape of Bites is So Mouth Watering and its Royal Packing is awesome to gift anyone. You can’t resist yourself to say “WOW” to its tempting taste. Shelf life of bites is 45 days (In Special Condition). Cashew, Almond, Dark Chocolate Slab, Ghee, Liquid Glucose, Sugar, Milk Powder.